The Wisconsin Defense Counsel (WDC) invites you to become a Sponsor for 2019. We have three types of Sponsorship available this year including Corporate Sponsor, Legal Sponsor and Conference Sponsor. Questions? Contact the WDC office at 414-276-1881 or info@wdc-online.org. In business since 1925, Acuity protects the financial well-being of families, individuals, employees, and businesses throughout Wisconsin and in 26 other states across the country. We write a wide array of personal lines insurance coverages, including home and auto, and commercial products, including property, liability, auto, and workers’ compensation. With over $4 billion in assets and more than $2 billion in policyholders’ surplus, Acuity has earned A+ (“Superior”) strength ratings from both A.M. Best and Standard & Poor’s. Acuity has been named to the Ward’s 50 list of top-performing insurance companies for the last 19 years, putting the company in the top 2 percent of insurers nationwide. Acuity believes in supporting local communities. Guided by the Acuity Charitable Foundation, we donated more than $1 million to worthy causes over the past year. We also believe in being a good employer, not just because it’s the right thing to do, but because happy employees deliver the best customer service. Our commitment to our corporate culture is the reason we have received consistent recognition as a top employer, including being named to the Forbes list of America’s Best Mid-Size Employers in 2018 as well as The Best Employers for Women and Diversity. At American Family, we’re dedicated to inspiring, protecting and restoring our customers’ dreams. As the nation's 13th-largest property/casualty insurance group with 2800+ independent contractor agents, we are proud to serve our customers with American Family-brand products, including auto, homeowners, life, business and farm/ranch insurance across 19 states. American Family affiliates (The General and Homesite) also provide options for consumers who want to manage their insurance matters directly over the Internet or by phone. Over the last century, Bassford Remele attorneys have earned a reputation for taking on the most difficult and complex liability cases. We have extensive trial experience in handling all aspects of general liability litigation, covering a wide range and variety of injury and wrongful death claims. We handle the most difficult and complicated cases that often cannot be reasonably resolved by settlement and proceed to trial. Insurance coverage disputes are common and complex. Bassford Remele has broad, national experience representing major insurers in all claims. Before a lawsuit even begins, we lend analysis and investigation assistance, counsel as to risks, and design creative settlements. Once litigation begins, we offer unparalleled trial experience. We have represented insurers in some of the Midwest’s largest insurance-coverage cases, frequently serving as liaison counsel in multi-defendant lawsuits. Bell, Moore & Richter, S.C. is a Madison law firm serving clients throughout Wisconsin since 1851, providing high quality, outcome-focused and cost-effective legal services. We have a reputation for vigorously defending lawsuits and a successful track record of trying cases in a wide range of civil claims, including personal injury, medical malpractice, insurance coverage, municipal liability, real estate, construction defects, etc. We are retained by the top insurance companies to represent their insureds who have been sued. We are also retained by businesses and individuals directly to protect their interests. Our trial lawyers are frequently acknowledged by their peers as among the best attorneys in the state. Boardman & Clark LLP is one of the largest and oldest law firms based out of Madison, Wisconsin. The firm serves a wide variety of clients in nearly all areas of civil law, and features a deep and diverse litigation practice group that has successfully tried hundreds of cases on behalf of individuals, businesses, and insurance companies in federal and state courts throughout Wisconsin and nationwide. Borgelt, Powell, Peterson & Frauen, S.C. maintains its core practice representing the insurance industry while also counseling railroads, private businesses, municipalities, and individuals. The firm offers a diverse insurance defense practice including worker’s compensation law, first party property and casualty law, assisted living litigation, product liability law, auto and homeowner law, complex coverage questions, bad faith, torts, personal injury, commercial law, employment relationships, environmental and toxic torts, medical and professional malpractice law, railroads, corporations, municipal law, and construction law. The firm also handles subrogation, statutory liens, mediations, and arbitrations. Brown & Jones Reporting is a National Certified Women-Owned company. As we celebrate 30 years in business, we remain steadfast in our Commitment to Excellence. We continue to hold ourselves accountable to the highest standards of preserving the record. Brown & Jones Reporting partners with a network of nationally certified reporting firms who help us meet the deposition needs of our clients in any part of the country, as well as all of Wisconsin. Corneille Law Group, LLC is a law firm created for the purpose of litigating civil cases. While Many firms boast of being ‘litigators’, they provide only vague reference to actual trial performance. At Corneille Law Group, we stand ready to prepare and try your case, and believe our trial record and experience is a testament to our ability to efficiently prepare cases for successful resolution. In addition, effective trial skills and the willingness to enter the courtroom often result in better settlements for those clients who prefer to negotiate a pre-trial settlement. Corneille Law Group, LLC is a small law firm focused on the defense of all types of civil litigation. Over the years, members of the firm have tried cases in the areas of medical negligence, personal injury, insurance coverage, bad faith, civil rights, construction, product liability and environment law. Although the vast majority of all civil cases continue to resolve without trial experience over the years. The firm maintains offices in Green Bay and Madison. CTLGroup merges science with law when the discovery of cause is paramount. Our construction defect litigation clients are defendants at-risk and plaintiffs at-loss. We deliver scientific proof and engineering testimony in failure, construction accident, collapse and catastrophic disaster cases. The Oklahoma City Bombing and the World Trade Center Attack are among the disastrous events we’ve investigated. CTLGroup’s construction litigation support teams provide the same care and attention on less-publicized cases, effectively applying our technical expertise for the benefit of our clients. ESi is an engineering and scientific investigation and analysis firm committed to providing clear answers to the most challenging technical problems. For over 30 years, ESi has leveraged its multidisciplinary team of engineers, scientists, and professional technical staff to investigate many of the major accidents, incidents, and disasters experienced in our society. ESi has recently expanded, with Crane Engineering now being part of ESi. Crane Engineering has a 40-year track record of providing industry leading forensic engineering and investigation services involving accident investigation, industrial applications, insurance subrogation, and product liability litigation. The Crane Engineering team brings high caliber, technical talent in a range of high growth and complementary areas, further broadening and diversifying ESi’s service portfolio and adding strong sector expertise in automotive and vehicle technology, oil and gas, fire protection, building sciences, manufacturing, and transportation. Crane also adds to ESi’s suite of data acquisition and forensics capabilities, augmenting a core competency ESi can leverage across its global client base. Our team of scientists, engineers, medical professionals and business consultants provides expertise in more than 90 disciplines to support technically challenging litigation cases. Over the past 40 years, Exponent has been involved in more than 30,000 cases. We have provided science-based investigations for litigation involving product liability, environmental/toxic tort issues, construction disputes, intellectual property, and personal injury. Gass Weber Mullins LLC is a nationally-recognized litigation and trial practice boutique with offices in Milwaukee and Miami. Clients bring their most significant and complex cases to Gass Weber Mullins not only because of our deep reservoir of courtroom skill and expertise, but also because of our experience conducting highly effective and specialized jury research. Focused on creativity, innovation, commitment to clients, collaboration and the courage to take on our clients’ most daunting tasks across the legal landscape, our firm is addressed reverentially as “the premier litigation boutique” and an “unassailable fortress of real trial talent.” Gass Weber Mullins’s great talent and successes have led to numerous accolades including multiple Chambers and Partners rankings, Super Lawyers designations, Best Lawyers and Best Law Firms rankings, and being named a four-time Benchmark Litigation Wisconsin Law Firm of the Year. 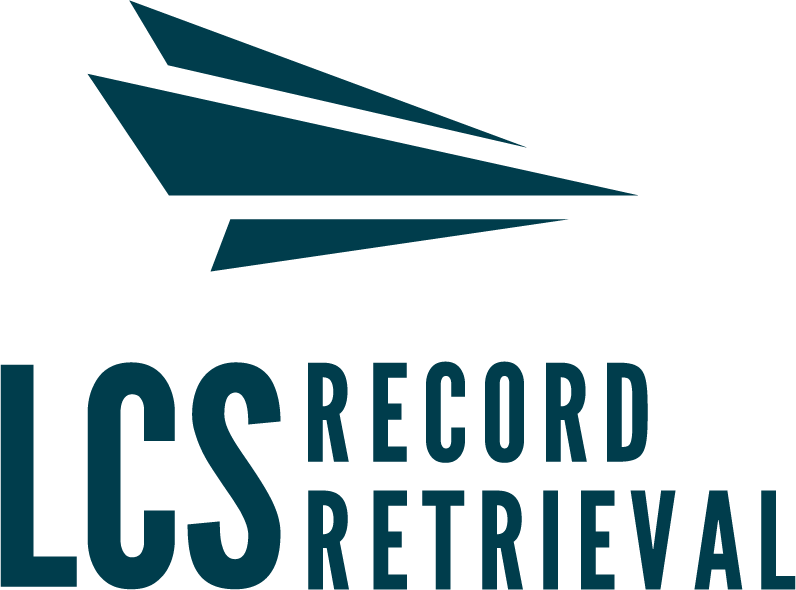 LCS Record Retrieval (Legal Copy Services, Inc.) provides fast and cost-effective solutions for your record retrieval needs. By using state-of-the-art technology and customized services, we are able to retrieve requested records with exceptional speed and accuracy. When using LCS you will enjoy quick turnaround times and accurate, professional document production in either electronic and/or hard-copy format. We exist to improve your business and we look forward to serving you. LCS is speeding up the authorization signing process by utilizing e-sign technology. Get your authorizations signed in minutes, not days with SimplySign© by LCS. Contact us today to learn more! Enjoy the benefits of a new mediation experience. Providing the flexibility and willingness to approach each mediation in the format most likely to produce the best result. Scheduling one mediation per day, guaranteeing that time will never be an obstacle to fruitful settlement discussions. Leaving time in the weekly schedule to guarantee availability even on short notice. Jim Mathie brings his 30 years of litigation experience and varied mediation training together with a considerate and informed approach to his full-time mediation practice from offices in downtown Milwaukee or traveling to mediate. If you haven’t already mediated with Jim, now is the time. And when you’re preparing for mediation, be sure to read his On Mediation column in the Wisconsin Law Journal. Founded by lawyers and for lawyers in 1982, Minnesota Lawyers Mutual Insurance Company (MLM) has provided risk management services for the legal community, including lawyers’ professional liability insurance, for 35 years. MLM strives to be an efficient, accountable and permanent practice management resource, exemplified by an AM Best rating of A- (excellent), and a consistent dividend return for the past 29 years. MLM has returned over $60 million to policyholders since our first dividend in 1988. Nash, Spindler, Grimstad & McCracken, LLP was originally established in 1872 and has been providing insurance defense services to industry clients for over 40 years. With its main office in Manitowoc, and satellite offices in Waukesha and Northern Wisconsin, Nash, Spindler, Grimstad & McCracken is able to assist clients in all legal matters throughout the State of Wisconsin. The firm has built a reputation of providing effective and quality representation to its insurance clients. Whether it is personal injury, product liability, commercial litigation, insurance coverage, or any other insurance related issue Nash, Spindler, Grimstad & McCracken has the experience and attorneys to get results when it matters most. One Law Group, S.C., a full service law firm, offers assistance to individuals in need of legal advice and services. Located in De Pere, Appleton and Lakewood, serving Northeast Wisconsin, the surrounding region and beyond, we provide assistance with mediation, arbitration, traffic violations and DUI, felonies, misdemeanors, real estate transactions, collections, divorce, child custody and child support, personal injury, wills, trusts and estates, worker's compensation and more. We also provide legal guidance to small businesses and assist local government bodies in municipal law. Attorneys at One Law Group, S.C. go to great lengths to meet our client’s needs and expectations to achieve their objectives. The Power of One. Established in 1881, Otjen Law Firm, S.C. has been involved in the defense of healthcare providers in Wisconsin for decades. In addition to representing physicians, hospitals, and the Wisconsin Patients Compensation Fund in the defense of medical negligence claims, we have experience in virtually all types of medical negligence claims that can be brought against healthcare providers in Wisconsin. Our general liability defense practice encompasses the areas of auto liability, premises liability, products liability, trucking claims, fire loss, environmental liability, toxic torts, and defense of non-medical professional claims. As evidenced by Otjen’s receipt of a Tier 1 ranking in both medical malpractice defense and personal injury litigation defense in the 2019 edition of Best Law Firms published by U.S. News & World Report, we have the expertise, ability and reputation necessary to consistently obtain quality results for our clients in high-stakes litigation. Rural Mutual Insurance values what’s important in life. That’s why we have been protecting families, businesses and farms exclusively in Wisconsin for over 82 years. And since Rural Mutual Insurance does business in only one state, premiums paid here, stay here to keep Wisconsin strong. A powerful resource in litigation for nearly 50 years, S-E-A is a multi-disciplined forensic engineering, fire investigation, and visualization services company specializing in failure analysis. S-E-A's full-time staff consists of licensed/registered professionals who are court-qualified experts in their respective fields. 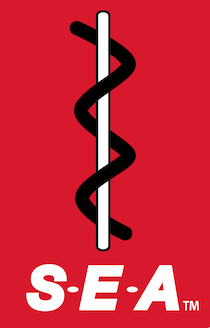 S-E-A offers a complete investigative service including: mechanical, biomechanical, electrical, civil, and materials engineering, as well as fire investigation, industrial hygiene services, visualization services and a fully equipped chemical laboratory. These disciplines interact to provide thorough and independent analysis that will support any subsequent litigation. Should animations, graphics, or medical illustrations be needed, S-E-A’s visualization team can work closely with field staff to clearly depict what really happened. Simpson & Deardorff, S.C. is one of the most highly respected civil litigation firms in Wisconsin’s legal community, frequently at the forefront of shaping legal issues that govern the litigation business. Our attorneys have been recognized repeatedly for their leadership, vision, and legal expertise. Specialties include insurance defense, coverage analysis, automobile liability, uninsured/underinsured motorist, premises liability, safe place litigation, worker’s compensation, product liability, toxic tort, bad faith litigation, construction litigation, subrogation, propane litigation, and general litigation. With offices in Milwaukee and Green Bay, S&D provides client-focused representation statewide and takes pride in exceeding client expectations. Skogen Engineering Group, Inc. are experts in the area of accident reconstruction, including product liability and structural matters. Founded in 1904, von Briesen & Roper, s.c. is today more than 190 lawyers strong with offices throughout Wisconsin. Its Litigation and Risk Management Practice Group prides itself on delivering results for their clients, whether it involves formal litigation, administrative hearings, alternative dispute resolution, or creative dispute resolution techniques outside of the formal litigation context. They have successfully represented businesses of all sizes and individuals in pre-trial and trial proceedings in state and federal courts across the country, and at all levels of appeals. von Briesen’s Litigation and Risk Management attorneys have the trial experience, business sensibilities and strategic vision to give clients the advantage they need to come out on top. The attorneys at Weiss Law Office, S.C., offer their clients more than 60 years of successful combined experience in serving the needs of Wisconsin’s insurance industry. We concentrate our practice on the complete representation of the insurance industry, from drafting policies, to advising on claims handling, to defending claims and lawsuits, to seeking subrogation. Our representation spans almost every part of the business of insurance companies. We represent our clients in a variety of cases, including: Insurance coverage, Insurance defense, Insurance subrogation, and civil litigation & appeals. Created by Wisconsin lawyers in 1986 to protect the financial security of lawyers like themselves and the clients they serve, Wisconsin Lawyers Mutual Insurance Company (WILMIC) continues to demonstrate a leading commitment to Wisconsin's legal community. Thousands of attorneys and their firms across the state rely on WIMLIC for quality professional liability insurance coverage, superior claims administration, risk management and customer service. Discounted and part-time rates available. Contact Tom Watson at 608-824-1700 or at tom.watson@wilmic.com for more information. WMI has written personal lines insurance in Wisconsin, and recently Minnesota, through independent agents for over 115 years. Throughout this time we have focused on customer service and the "human touch" that gives our policyholders confidence in the insurance process and our commitment to a long‐term partnership. All calls are answered by a live person who then directs them to the WMI specialist who can best service their needs. However, we also appreciate the convenience that technology offers and provide a variety of online tools as well. Recently we have focused on how we can evolve and grow with the changing needs of our policyholders, and that has led to additional coverage enhancements and endorsement options. Our personal lines products include auto, home, umbrella and farm. In addition, Wisconsin Mutual is proud to support the small to medium size farms that are so critical to Wisconsin and Minnesota. We continue to grow in this market segment and pride ourselves on the local expertise we can offer farmers in the communities we serve. We currently concentrate our commercial books of business on small to medium sized residential accounts and small artisan contractors.